Rare Spares produce anywhere from 30 to more than 100 parts each month, with each part undergoing a rigorous checking and approval process at the Rare Spares Research and Development Facility in Victoria. Requests for new parts are sourced from research, online forums, requests in-store and online ‘wishlist’ requests which come through directly to Rare Spares. A wishlist of requested parts is compiled in a spreadsheet by Rare Spares staff and directors, so that they can easily identify parts which are in the highest demand. “I decide there’s a need in the market and then I work out some way for the part to be made,” said Rare Spares Director, Les McVeigh. 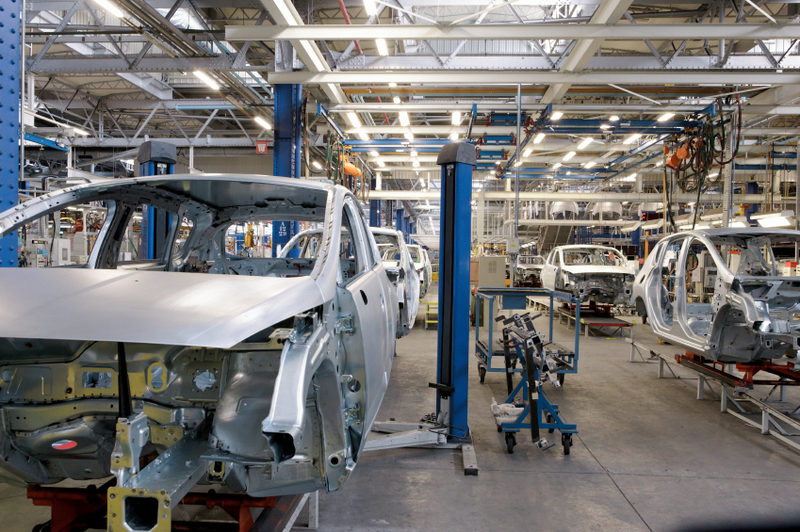 The majority of parts are produced through reverse engineering and the production process can be anywhere from two or three months to two or three years. After sourcing an original part, it is sent to one of hundreds of suppliers who can reverse engineer the part and they then come back to Rare Spares with the cost of tooling, quantity and unit price. If the option seems viable they are engaged to produce a sample, which is then submitted for testing. “Parts are thoroughly tested,” said McVeigh. “The problem that we’ve got is trying to keep up with how many parts we can make because the car companies are deleting parts faster than we can make them,” said Barker. We spoke to Rare Spares Ambassador and Racing Legend, John Bowe about the future of the automotive industry in Australia and the end of Australian car manufacturing. “I wouldn’t class myself as an expert, but I’ve had a full motoring life and I think it’s quite sad that we’re not going to have any manufacturing here anymore, because some of the cars that Ford and Holden have produced have been seriously iconic Australian cars,” said Bowe. 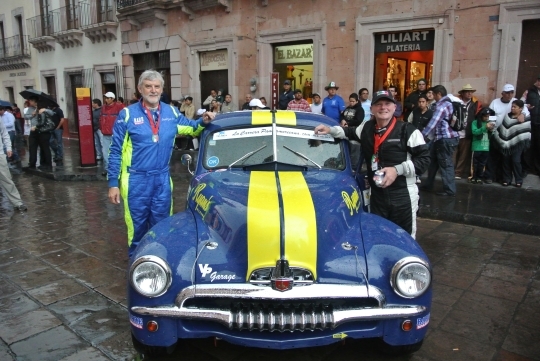 In a feat two years in the making and for over twenty years a goal, car restoration figure and Director of Rare Spares David Ryan and his navigator Greg Stevenson have completed the gruelling La Carrera Panamericana in their 1954 FJ Holden. The Mexican classic rally event was originally held for five consecutive years in the 1950’s however safety concerns at the time halted further events. It was revived in its modern format in 1988 and spans the length of the country over a demanding eight day schedule using predominantly public roads. With an event of this magnitude, in a country far away, an incredible amount of time and effort is required to pull everything together and for David Ryan and Greg Stevenson this amazing journey started nearly two years ago when they acquired a run-down FJ Holden after a successful EBay bid. The car had been sitting completely dismantled in a backyard for over five years. Soon after picking the car up, a meticulous restoration began. Rare Spares provided all of the parts essential to a high quality rebuild for such a demanding event. With modern componentry purchased, a later generation Holden 202 engine installed, a comprehensive modern safety cage and a final coat of paint, the car was ready for its maiden voyage. Sitting on the road, ready to be waved off for the first time was surreal for Ryan and Stevenson as they thought back to the time and energy that had been poured into achieving that very moment. Having any car last the full event without any issues would be a miracle and despite the preparation and the car’s otherwise faultless performance, Day 3 threw a spanner in the works. The Holden 202 engine block split one of the cylinder bores, which was a major setback, however not an event killer. Fortunately, Ryan and Stevenson’s support team were none other than a Mexican Rally Championship service crew. Ryan explains the lengths the service crew went to, to get the Australian team back on the road for the remainder of the event. Upon completion the fresh engine was rushed back 400km to the service area where it was slid back under the FJ bonnet. The whole process had been completed within 24 hours. Ryan and Stevenson were now free to re-join the event, having only missed a single day of competition. The team finished fifth in class and 56th outright, but the result was insignificant to the feeling of completion. “It was a sensational event and amazingly well run. Everyone was friendly and happy to help and it is probably the best thing we have ever done” said Ryan. As a thank you to the Mexican service crew, Ryan and Stevenson have offered the crew the chance to campaign the car themselves at next year’s Targa Adelaide event. Post Targa the car will be stripped down for a thorough overhaul before the little Aussie FJ returns to Mexico to once again be part of the iconic event. 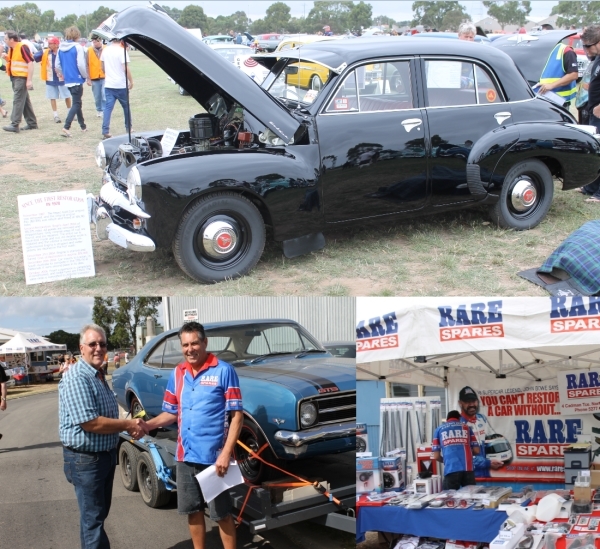 On Saturday March 1st, Rare Spares sponsored and attended the 2014 All Holden Day in Geelong. The annual event at the Geelong Showgrounds has been hosted by the Holden FX – HZ Car Club for years, showcasing Holdens, from the 1948 FX to the 2013 VF. The event unites Holden enthusiasts each year and is open to all makes and models, resulting in a colourful and varied display. From 9am – 4pm guests enjoyed competitions, food stalls, trade sites, S.E.S. demonstrations and family entertainment, including a jumping castle and temporary tattooing. Thousands of people were in attendance, some guests even travelling interstate for the event, and hundreds of cars were set up. Rare Spares were proud to be sponsors and had a lot of fun on the day meeting the many enthusiasts that make this event possible!